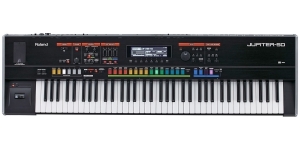 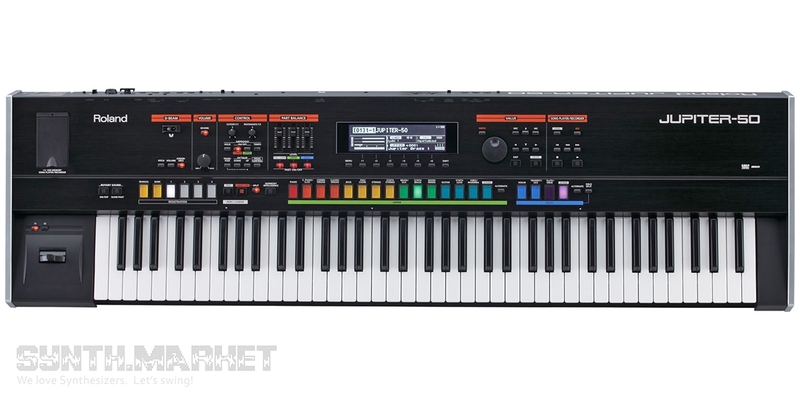 If Jupiter-80 seems to be unaffordably ponderous anyway - weight, price, and richness of functions, the full research of which requires more than one week, Roland Corporation offers to opt for Jupiter-50. 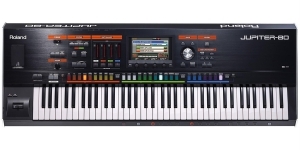 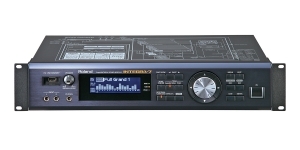 This is a performing instrument that is focused on stage use even more than its elder brother is, who actually has the same essential specification. 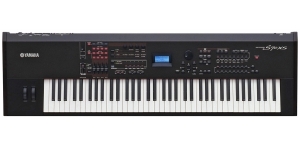 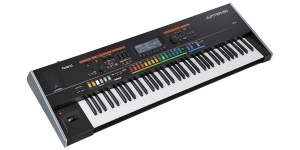 Jupiter-80 is lighter and more compact featuring the same 6-octave keyboard, its polyphony is reduced, but still offers 128 notes which is pretty much enough, and it allows real-time operation with three sound layers, while Jupiter- 80 managed 4 layers at once. 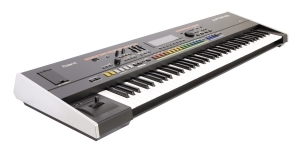 Among other differences there’s reduced filter functionality, less user arpeggio styles, a small monochrome screen, and no digital audio output.